Rob Gutro, Goddard Space Flight Center, Greenbelt, Md. The National Radio Astronomy Observatory (NRAO) is teaming with NASA's upcoming Gamma-ray Large Area Space Telescope (GLAST) to allow astronomers to use both the orbiting facility and ground-based radio telescopes to maximize their scientific payoff. Under the new, streamlined process, astronomers can compete for coordinated observing time and support from both GLAST and NRAO's radio telescopes. in orbit above the Earth. GLAST is scheduled for launch no earlier than December 14. It will perform a survey of the entire sky at gamma-ray wavelengths every 3 hours using its primary instrument, the Large Area Telescope (LAT). NRAO operates the Very Large Array (VLA) in New Mexico, the continent-wide Very Long Baseline Array (VLBA), and the Robert C. Byrd Green Bank Telescope (GBT) in West Virginia. The NRAO is a research facility of the National Science Foundation (NSF). "Coordinated gamma-ray and radio observations of celestial objects will greatly enhance the ability to fully understand those objects. Astronomy today requires such multiwavelength studies, and this agreement paves the way for exciting, cutting-edge research," said Fred K.Y. Lo, NRAO Director. 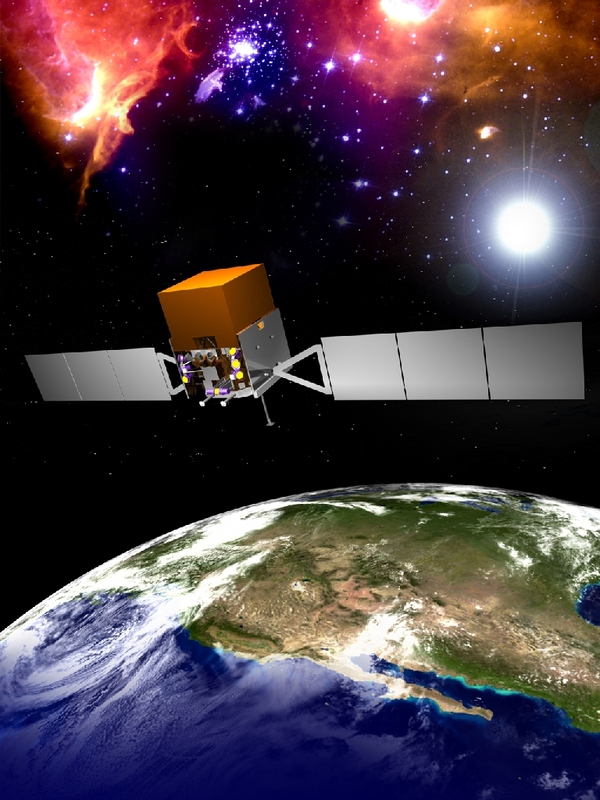 GLAST will be vastly more capable than previous gamma-ray satellites, and will carry an instrument, the GLAST Burst Monitor, specifically designed to detect gamma-ray bursts. GLAST observers will study objects such as active galaxies, pulsars, and supernova remnants, which are also readily studied with radio telescopes. By working together, NASA's GLAST mission and NSF's NRAO facilities can study flares from blazars over the widest possible range of energies, which is crucial to understanding how black holes, notorious for drawing matter in, can accelerate jets of material to nearly light speed. "The gamma-ray and radio observations will show scientists different aspects of many still-mysterious objects and processes. By providing a simple procedure for astronomers to win observing time on radio telescopes to follow up on our new gamma-ray discoveries, we're ensuring that we get the maximum scientific return from both," said GLAST project scientist Steve Ritz of NASA's Goddard Space Flight Center in Greenbelt, Md. "The importance of this coordinated approach has been highlighted by a recent two-day workshop at Goddard, in which we discussed the scientific benefits and coordination of radio Very Long Baseline Interferometry observations made in conjunction with GLAST." NRAO's radio telescopes have been used for many years as part of multiwavelength observing programs in conjunction with both ground-based and space-based observatories. Usually, however, astronomers had to submit separate observing proposals to two or more review committees, with no guarantee that they would win observing time on all desired telescopes. For its part, NASA spacecraft such as the Compton Gamma-Ray Observatory and the Chandra X-ray Observatory have opened wide new windows on the high-energy universe. Astronomers, including those on a recent NSF Senior Review panel, have urged reductions in administrative barriers to gaining observing time at multiple wavelengths. "This NRAO-GLAST agreement eases the process of winning observing time on NRAO telescopes to complement the GLAST all-sky gamma-ray survey. In particular, the continent-wide VLBA is the only existing radio telescope that can image and monitor the sites of extreme gamma-ray flares in distant galaxies," said Jim Ulvestad, NRAO's Director for VLA-VLBA Operations. "We expect to see arrangements like this become much more common in the future, to the benefit of the science."